Martin and former linebackers Willie Lanier , also a Hall of Famer, and Willie McGinest taped minute-long “NFL Way to Play” instructional videos for players stressing stance, posture and technique. For specific examples of head-contact hits that are now 15-yard penalties or possibly ejections, there are situation-specific videos narrated by coaches Anthony Lynn of the Chargers (ball carriers ), Doug Marrone of the Jaguars (offensive linemen ), Dan Quinn of the Falcons (defensive linemen ), Mike Vrabel of the Titans (linebackers ), and Todd Bowles of the Jets (defensive backs ). After watching those videos, Redskins coach Jay Gruden said making sure players don’t use their helmets as weapons is “a big thing we’re trying to get over.” That’s the NFL’s emphasis: a helmet is for protection and not to be used as a projectile. 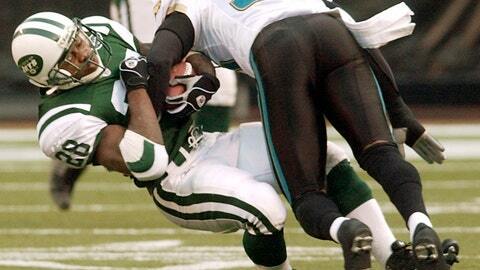 Bowles, who played defensive back for eight NFL seasons, illustrated in his video many of the shoulder-to-shoulder hits that are legal and expected. He contrasted them with some players who made helmet-to-helmet contact. Because the enhanced rule now makes helmet-to-anywhere contact a penalty, he knows it’s on coaches to give players a refresher on the proper way to tackle.